Home > Pipe & Valve Marking > Pipeline Identification Labels and Tapes > Pipe Marking Tape > Air conditioning pipeline identification tape. 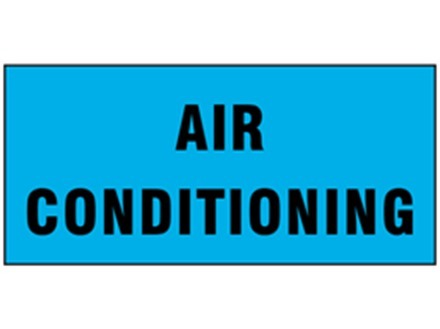 Air conditioning flow marker label. Breathing air flow marker label. 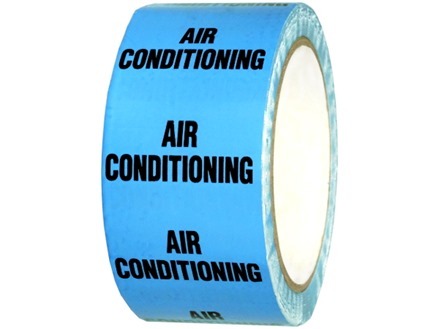 Air conditioning pipeline identification tape. For air. Colour reference 20E51 . Pipeline identification tape. Air conditioning tape. Comply with BS 1710:1984 and BS4800:1989. Laminated self adhesive vinyl. Colour reference 20E51. ZPT604 Size 50mm x 33m. Material self adhesive vinyl, with clear polyester laminate.